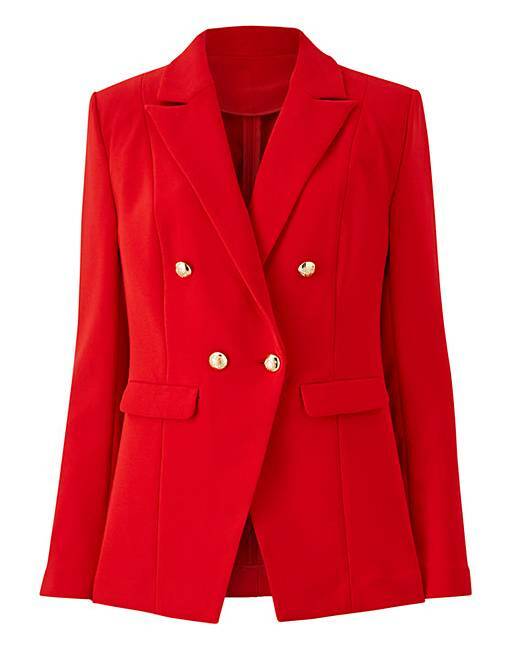 Red Statement Trophy Blazer is rated 2.9 out of 5 by 8. 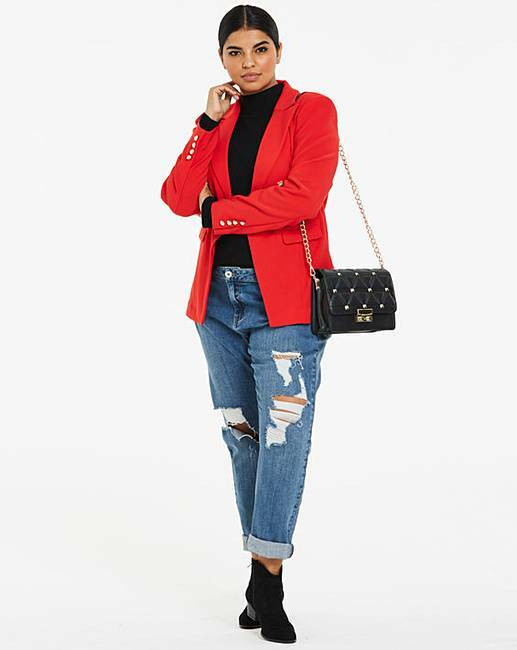 This red statement blazer will help you nail the military trend this season. This trophy blazer is also available in Black (OX077), Pink (OX614) or Gold (NC351). 90% Polyester, 10% Elastane. Gold: 50% Polyester, 36% Cotton, 14% Metallic. Lining: Polyester. Rated 1 out of 5 by Cazzi from Poor Even though I read poor reviews for this jacket , because I was desperate, I ordered it . It arrived very quickly but I was so disappointed. The quality is poor and for quite an expensive jacket , the fabric was poor and unlined which meant it hung badly . 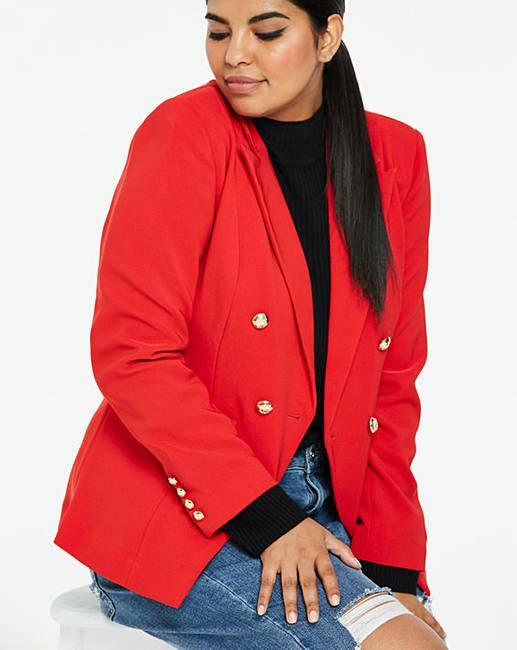 Rated 1 out of 5 by Tilly1819 from Don’t buy The blazer looks nothing like the image provided, the material of the blazer feels cheap( especially for the price) and isn’t very flattering on any woman. Wouldn’t recommend and was sent back. Rated 5 out of 5 by Susie P from Great shape and excellent quality. The jacket looks good over a black dress or with smart trousers. Rated 4 out of 5 by Sue w from Love it! Lovely jacket! BUT it's not lined, kinda stretchy material And the button fell off first time I wore it! Rated 2 out of 5 by Handbaghoarder from Was just what I was looking for .... .....but no hesitation in returning. Horrible material - sorry. Just felt cheap and nasty. Loved the colour. Loved the cutaway front. Loved the buttons. But material no! Seams made it look cheaper as they made jacket hang “ wrong” - seaming almost too heavy for the fabric.